Sometimes you find a piece that speaks to you. As a designer, this happens to me from time to time. It’s almost like love at first sight. 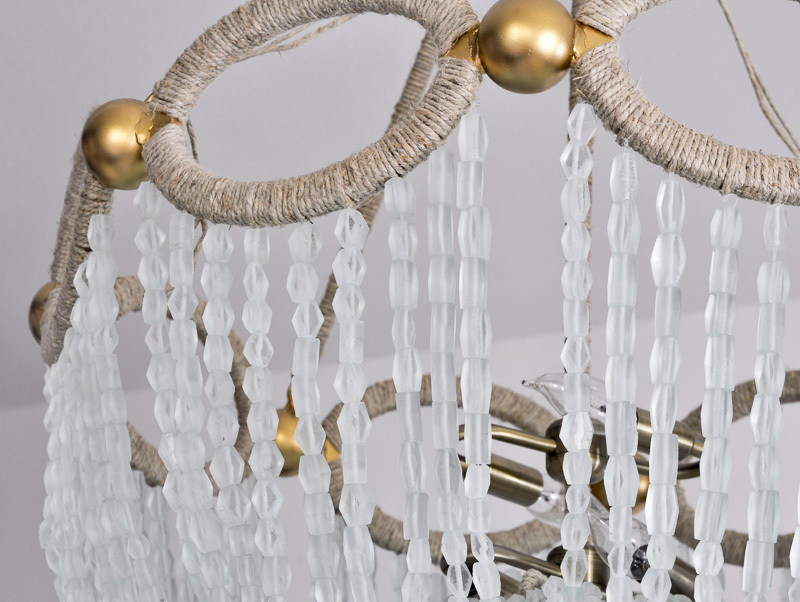 A few years ago, I saw a beautifully beaded chandelier and I though it looked like a piece of art. It turned out to be by Ro Sham Beaux and today I want to take the opportunity to share some of their designs with you. 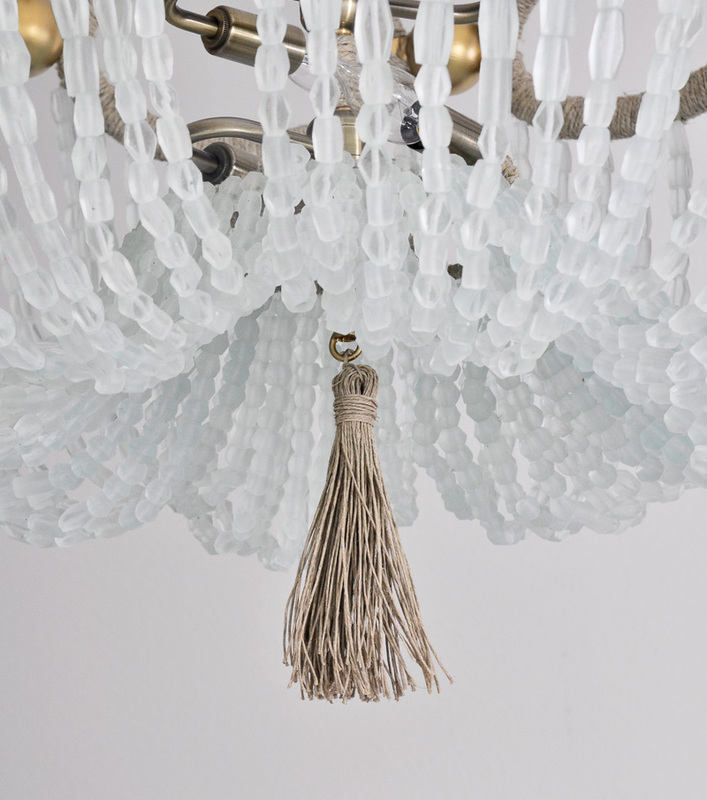 I’ve featured a few beautiful examples of Ro Sham Beaux fixtures which I feel were utilized perfectly. 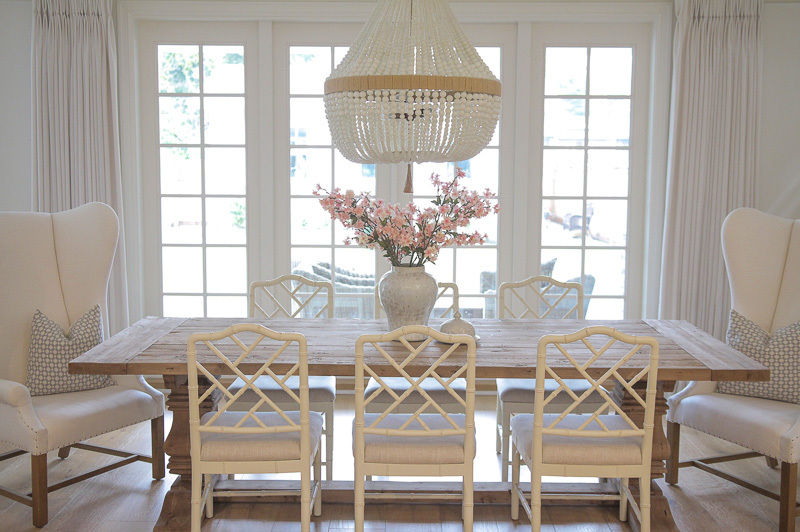 The first room design is by Victoria Balson Interiors from her fabulous Scarsdale Renovation. 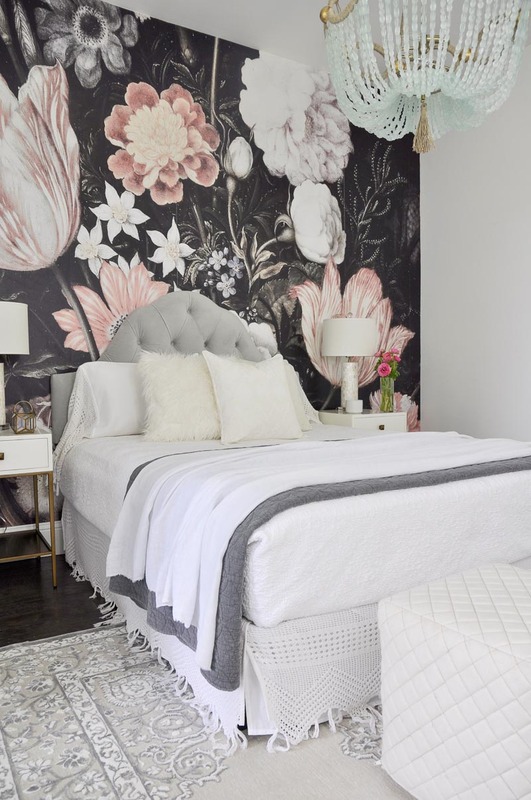 This bedroom by Annie Downing Interiors is where I want to spend a lazy afternoon! 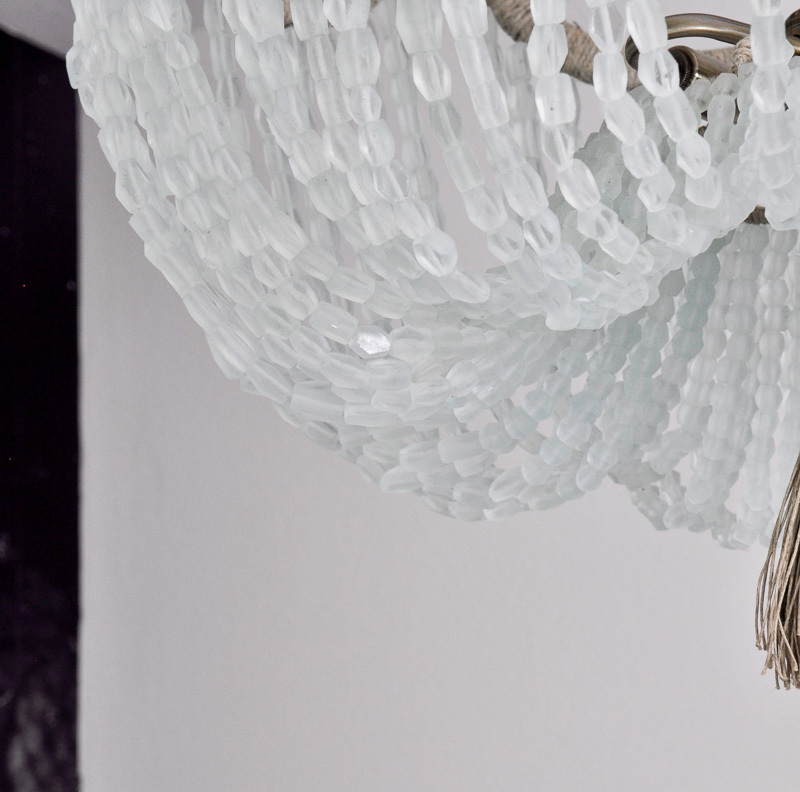 In a second dining room, this beautiful white beaded Orbit chandelier makes an elegant statement. By Sonja from J S Home Design. It compliments the space beautifully. I found Sonja on Instagram and I absolutely love her taste. If you use Instagram (this one is mine), be sure and follow her so you can see more of her designs. Last fall, I was able to feature the stunning Fiona in my own home. I gave our guest room an update and added this sophisticated piece. I spent the weekend clearing out our other guest room. You won’t believe what it looked like before! I hope you will check back next week for news about the next room I will be tackling. I can’t wait to share with you all of my inspiration for this endeavor. 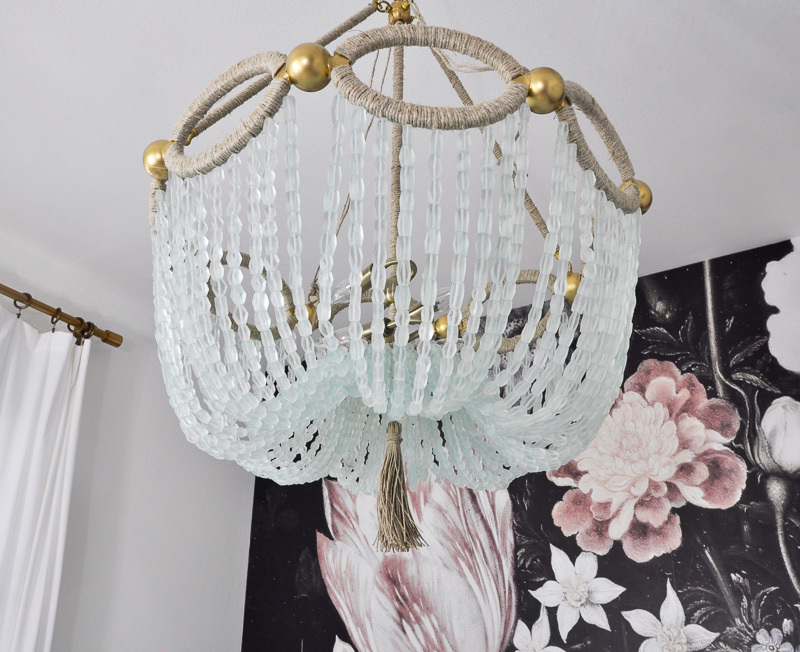 You can find the full reveal of my guest room here and sources below. 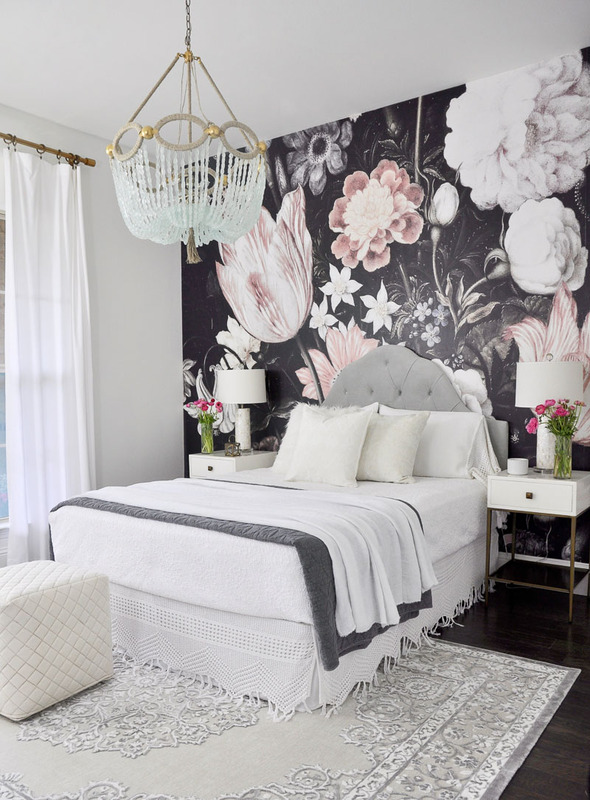 Where did you get the wallpaper in your guest room? I love it! You can find via the affiliate link below or in the blog post. Last I checked, it was 40% off!